Thank you very much for your continued support and prayers. May the Lord’s blessings and peace and protection be always with you. Please pray for my family. Our youngest son Samuel’s eye was badly injured in an accident at school. Jonathan is doing well and wants to attend Johnson University Florida next year. Johnson (formerly Florida Christian College) is where I earned my master’s degree in theology. We are praying that if it is God’s will, He will make a way for this to happen. Our oldest son James, while doing better, still struggles with drug use. In Yangon alone there are more than 6000 children living in unregistered institutions. These homes are often called orphanages but about 75 % (based on a UNICEF report in 2010) of the children have a living parent. Myanmar is a big country with more than fifty million people and many different tribes and languages. Many of the children in these orphanages are there because they are not able to be cared for by their family or relatives due to death, sickness, prison, drug use and poverty. A big part of the population lives in very remote areas. Although there are schools in most villages, few qualified teachers are willing to live in such remote areas with a low salary. This leaves a lot of villages without an opportunity to provide adequate education for their children. Mission Myanmar provides educational opportunities for all of the children they house and care for. Without this help, the future opportunities for these children would be very limited. Unfortunately, the cost of providing education has increased over the past few years and extra “after school” classes are now almost always necessary in order for a child to succeed. These extra classes cost money. Six years ago, UNICEF came and observed our orphanage in Yangon and when finished they reported that our Yangon orphanage is one of the three best orphanages in Yangon. Thank you for making this possible! 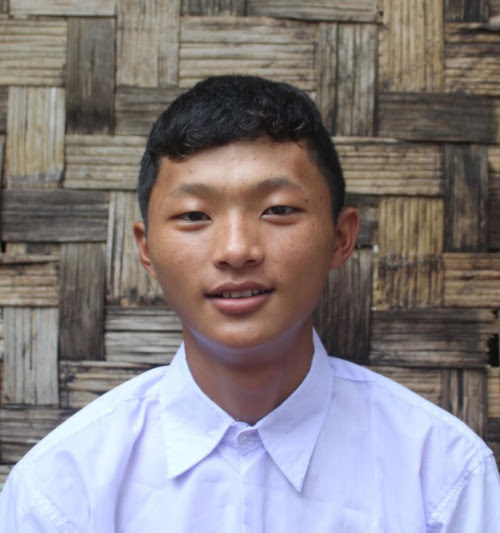 In 2012, when Myo Aung came to our Yangon Orphanage, he was 12 years old. He comes from a poor but large family where he is the oldest son. The family could not afford to educate all their children. He walked 3 days from his remote village to our orphanage in Putao. From there he flew to Myitkyina, then took a train from Myitkyina to Yangon. This journey took him close to 2 weeks. We accepted him and while he did struggle to catch up, he is now in 10th grade and doing very well. He is a very obedient boy and never breaks the house or school rules and is a good example in both places. While learning does not come easy to him, he studies very hard. We hope that he can finish high school with good grades. He is interested in music and he plays the guitar and the keyboard. He enjoys playing both these instruments in our church service. 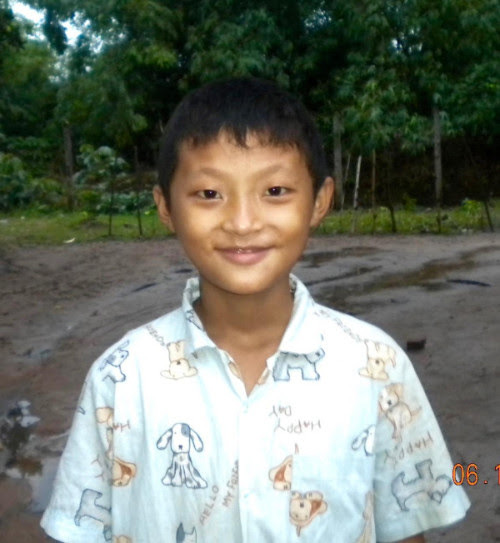 If you would like to sponsor a child like Myo Aung, please go to Missionmyanmar.org and select Donate Now. We are planning to build a 3 story building at our Yangon Orphanage site. This will allow us to grow our church and accommodate more orphans. Please consider a special or ongoing gift to help us make this much needed building a reality. To donate to this exciting building project, go to MissionMyanmar.org and make a donation today. One of our Mission Myanmar board members, Joe Snyder, came to Myanmar in August to encourage and teach. He taught on Paul’s missionary journeys. We were very blessed by his visit and teachings. 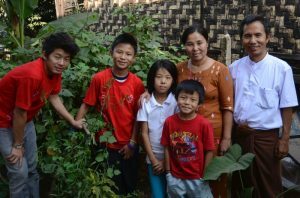 One of our former college students, Naing Htang, who was also a house parent at the Yangon Orphanage is now in the United States attending Emmanuel Christian Seminary at Milligan College in Johnson City, TN. We are so excited for him. He will be there for the next 3 years while he works toward his master of theology degree. Naing Htang also served as an interpreter for our English visitors when we held seminars at the Yangon orphanage.